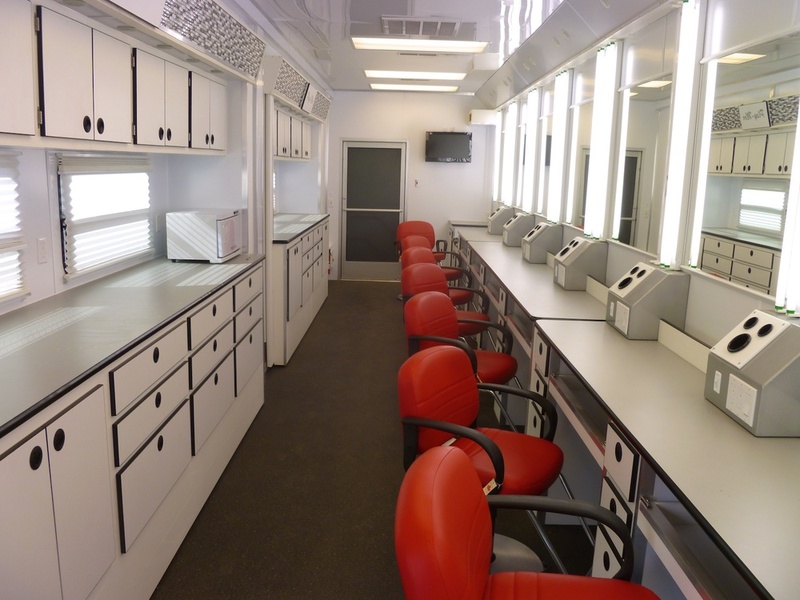 We rent custom designed Makeup & Hair Stylist Trailers & Trucks to Film Productions. 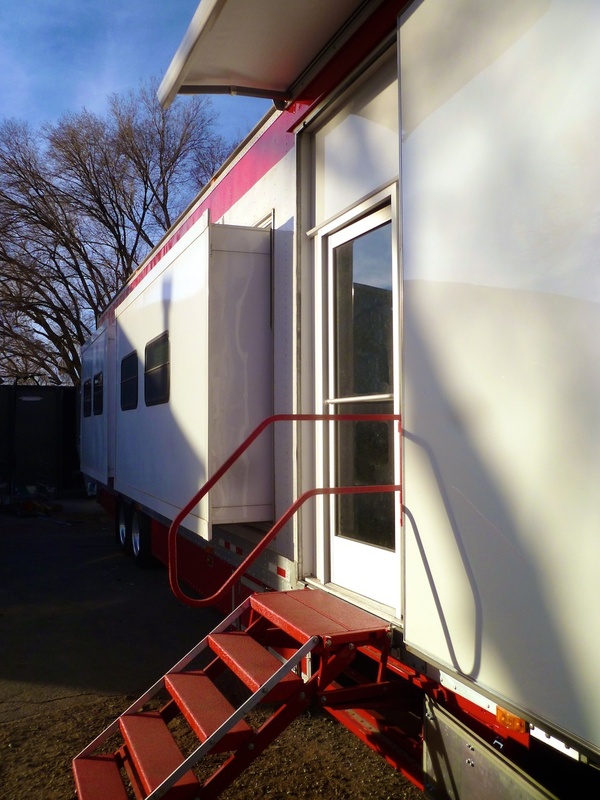 Here is our 10-Station Hair and Makeup Trailer -- The Santa Fe. Three Slide-Outs. 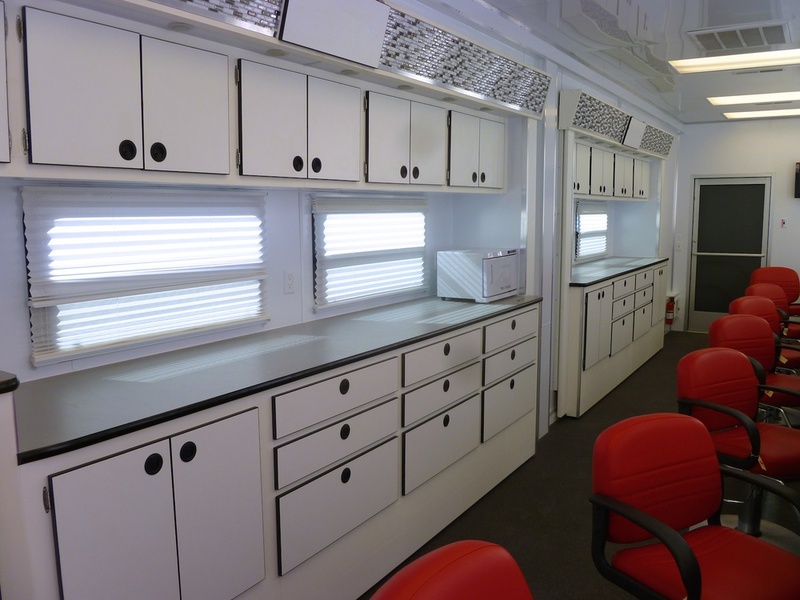 Star Privacy Suite has 2-Makeup-Hair Stations with one shampoo sink and separate entrance. Cast Room has 8-Stations. Shampoo sink. Hydraulic chairs and towel warmer. Plenty of shelf space, cabinets, drawers and coat closets. 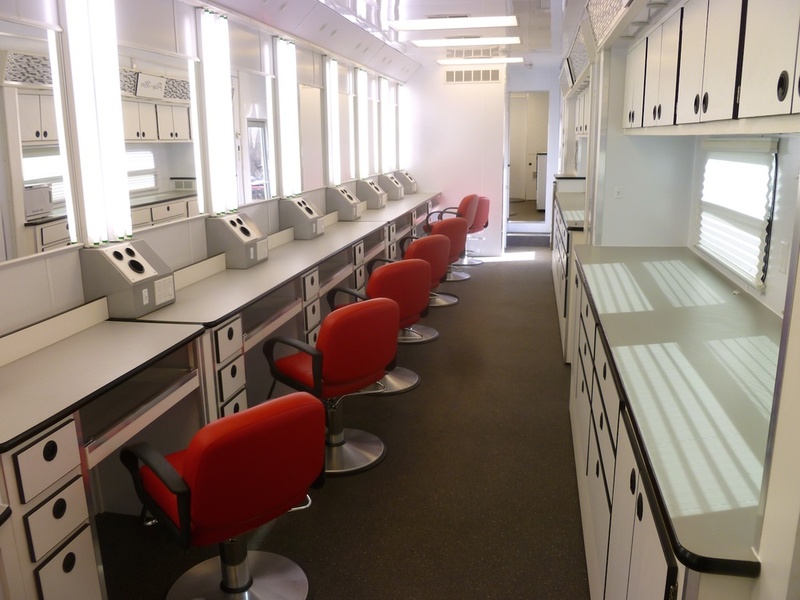 Each station has under-the-counter makeup drawers, brush holders & power outlets. Convenience restroom with sink & storage. TV-digital media. Microwave & refrigerator. Two main entrances with awnings. 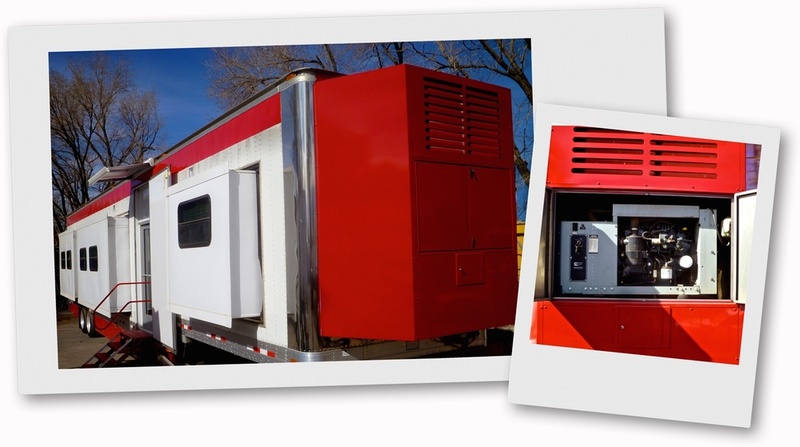 Jockey boxes and extra large generator for heat & air-conditioning. Call Wayne for details - Elliott Location Equipment (505) 328-0909.